“What would you say if the world was listening?” TED-Ed is much more than the great videos we see on YouTube. Over the last several years, through the TED-Ed Clubs initiative, the TED organization has emerged a champion of student voice and of learning thoughtful, creative public speaking. Do you love TED Talks? Do you emphasize public speaking skills in your classroom? Do you want to initiate or revamp a club that amplifies student voice? This is for you! If you're interested in starting a club after reading, get in touch! Why would this benefit your students? (not to mention you, the teacher!) TED-Ed is a thoughtfully planned program for club leaders/advisors, which runs on a “club cycle”, now in over 100 countries worldwide. Once accepted as a club, leaders/advisors receive access to a series of 13 “Explorations” that serve as lesson frameworks to be completed in a single cycle (up to 12 months). But TED-Ed understands that a cookie-cutter curriculum doesn’t work for all schools or students, so the curriculum is simply available as a guide. Essentially, the program is a guide club to assist club members in developing their "idea worth spreading". Along with the guide, access to a Leader Resources database is provided. The explorations take students through a process of identifying their passions and thinking much more deeply about what makes them passionate about those interests and developing a TED-Ed Talk that shares one passion in such a way that the audience is pulled in and engaged. Topics can be anything under the sun. Over time, as students determine and fine-tune their talk, they learn to use images and props to get their ideas across to an audience. Towards the end of the process, they learn the finer points of producing a TED-Ed event, including lights, sound, and scheduling. *Note: expect to have a video conference check-in with a TED-Ed rep to see how you are doing at some point during the process. When the process ends (more detail below), and your club has hosted an event and your TED-Ed Talks have been recorded, the videos are uploaded to the TED-Ed database for review for the TED-Ed YouTube Channel, giving your students the ultimate opportunity to reach a truly wide and authentic audience. But that’s not all! 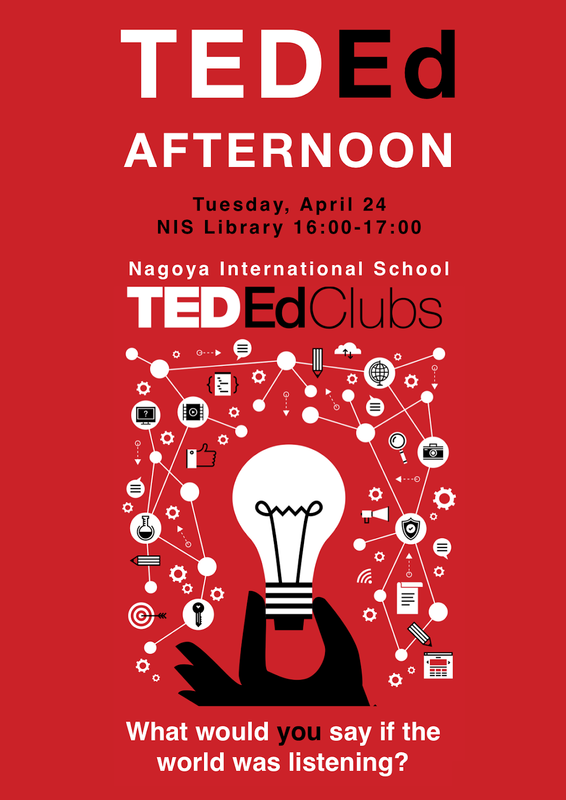 What are some other special features of TED-Ed Clubs? There is huge added value within the program itself. Connect Weeks. Although you can contact other clubs from around the world and set up your own ‘club connect’, TED-Ed also has Connect Weeks that bring like-minded clubs together to share ideas. TED-Ed Weekend. Your students could be chosen to attend the annual TED-Ed Weekend in New York City to meet students from clubs around the world and present on the official TED stage at TED Headquarters. TED-Ed Newsletter & Blog. You will receive a regular e-newsletter highlighting what’s new in TED-Ed, featured TED-Ed animations and lessons, student Talks, and other ways to grow your club and connect with others. TED-Ed Facebook Access. Yes, TED-Ed is on Facebook. And it’s a brilliant resource for connecting with club leaders to share ideas, receive advice, and celebrate your club’s successes! Apply and receive an email with ‘next steps’. This includes further familiarizing yourself with the program and participation in a Video Conference Orientation with a TED-Ed rep. Expect other club leaders to join. This is done with every new cycle. *Note: give yourself some time, as there may not be a meeting directly after your application, so start the process early. Recruit club members and get consent forms signed and uploaded within a month of acceptance as a club. Whether you recruit club members before or after this is your choice, but your students will be required to have parents sign a Participation & Media Release form. The consent forms must be uploaded to TED-Ed. *Note: videos of students under the age of 13 will NOT be uploaded to the TED-Ed YouTube Channel. Begin your cycle but plan a timeline. Try to get through the explorations, and modify as you see fit, keeping in mind that you’ll be expected to record the Talks, whether through an official school TED-Ed Club event or a simple recording. Hold an event and record the videos. The production doesn’t have to be high quality like an official TED-Ed production. Get the videos uploaded and go through the end-of-cycle checklist provided by TED-Ed. Reflect, celebrate, make plans to grow your club! Another challenge we faced was the school schedule. International schools have a LOT going on, and a LOT of unexpected interruptions to the schedule, leaving us sometimes not meeting for a few weeks at a time. This required extending our initially planned cycle length, which was as easy as an email to TED-Ed. Seeking authentic feedback was a hurdle easily overcome by app smashing. We took practice videos, uploaded them to Flipgrid with no names (ie) Grade 9 Student 1, linked to a Google Form (for feedback). The Flipgrid link was sent out on Twitter, to my Flipgrid community, and other communities of educators asking them and their students to view the Talks and give feedback via the anonymous Google Form. We sought feedback from other TED-Ed clubs. Feedback was limited but more than just teacher or club member feedback. From a teacher-advisor perspective, the challenge was helping students develop their ideas in a much deeper and more focused way, something most have not had the opportunity to do. Think about it. How often can a student prepare a presentation entirely on anything they want to share, with the time dedicated to perfecting it? To guide students through this process without getting your own ideas into their Talks is a challenge. Students experienced moments of ‘writer’s block’, but part of the process is developing strategies to deal with frustration as they stretch their thinking. There was also the inevitable procrastination and some necessary prodding to get better research completed, though having club meetings suddenly canceled for prolonged periods of time contributed to this. So go ahead and start your school’s first TED-Ed Club. You won’t regret it!